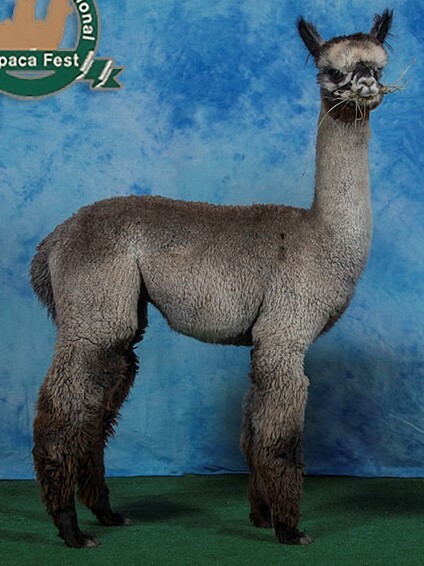 Spell Bound had a gorgeous Medium Silver Grey female cria, SSKY Stardusting on 7/25/2013, sired by North Penn Peruvian Kevlar. We immediately bred her back to Kevlar and have her confirmed pregnant for a cria next July! Spell Bound gave birth to a beautiful light fawn female SSky Sousa on 7/7/14. 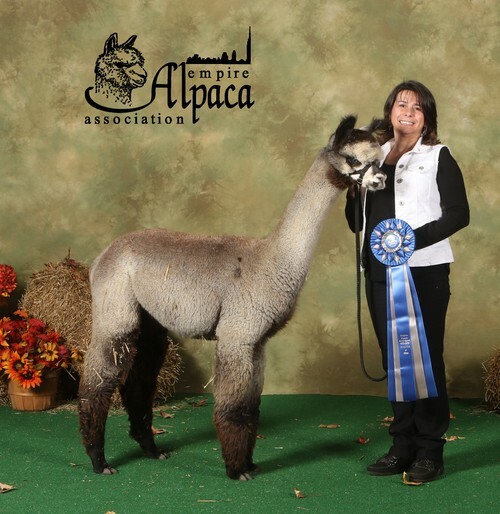 She is bred to JLFA Millenium's Peruvian Ventura for 2015. SSky Kevlar's Syndrome is 2016 cria.